Our"special fx" fake blood with the best quality and is not rivalled by any other producer of Fake Blood. This fake blood has the ability to light up with UV lights, so it is fluorescent fake blood. This product is used not only during Halloween or Horror- parties but also on film-sets and theaters all over the world, anywhere where there's a need for professional ?special effects'. Create the goriest of wounds and eerie special effects with UV reactive fake blood! Apply deep red blood stains to spooky special effects, wounds, zombie flesh and vampire make up with easy to apply fake blood that fluoresces under UV Blacklight. Give your Halloween make up and special effects a spooky glow with UV reactive fake blood! 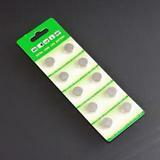 UV Fake Blood Gel glows Green or Orange in UV light! 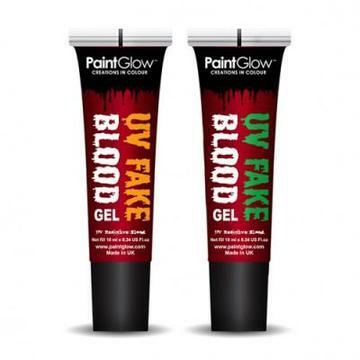 This UV reactive fake blood has a gel texture that’s easy to apply. It features a blood red color in regular lighting, and turns Green or Orange when it’s exposed to UV light.